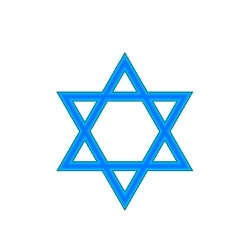 Publishers of websites focused on the Jewish community, or of websites focused on the Jewish religion, benefit when the advertising on their sites is for Jewish products and services. The benefit comes from the fact that their website members and visitors see ads that might actually be of interest. Larger sites with significant content and traffic aren’t created overnight, so it’s gratifying for website Publishers to be able to provide interesting advertising that matches the theme of their sites. Themed advertising enhances the overall look and feel of the site by working in concert with the content within the site. Of course, the point of advertising is to generate revenue for the site owner, and what better way to do that than to provide ads for products and services that are focused specifically on the demographics of the website visitors. This connection between the website, the content, the visitors and the ads increases the likelihood that the advertising will be effective, leading to click-throughs to the promoted product or service. While the benefits of themed ads is obvious for website Publishers and their members/visitors, the real benefit is to the Advertisers. By effectively targeting niche demographic groups that directly match the products, services or websites promoted, Advertisers increase the likelihood that their advertising will be successful. Common sense dictates that if you promote products and services related to your target market, there will be interest. It’s obvious that showing ads related to the theme of a website, or related to the interests of the site visitors, are more likely to be effective. The missing piece to this puzzle, until recently, has been how to easily add very targeted ads into themed websites for the right products and services, from the right Advertisers. While there are a few well known advertising systems that match ads to sites, Niche Ad Network is unique in it’s approach. By providing highly targeted themed Channels, Niche Ad Network directly connects Publishers, Advertisers and website visitors with ads designed to be of interest. And it’s incredibly easy! The Publisher adds the Jewish Channel Ad Zone code into their site, and the Advertisers focused on the Jewish community place ads into the Jewish Channel. That’s it!